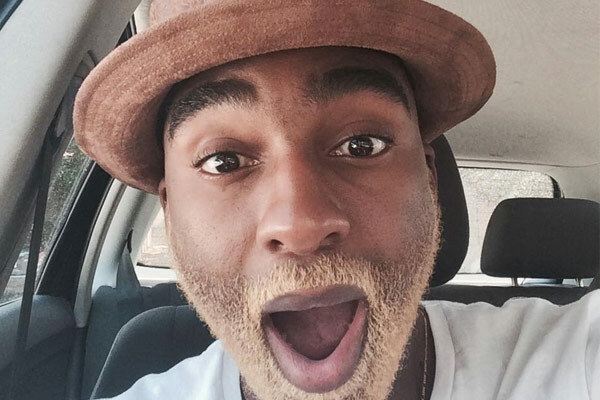 Riky Rick Apologizes For Humiliating A ‘Fake Sneaker’ Fan! 17-year-old Mbulelo Mtselu recently shared how his life has changed not in the best way since the video of himself being humiliated by rapper Ricky Rick went viral. The teen says her girlfriend of almost a year dumped him and he hates going out because everyone recognizes himself as the ‘fake sneakers’ guy. Taking to twitter after Mbulelo’s interview, Riky Rick posted a series of tweets expressing how sorry he was and how he was going to support the young kid. 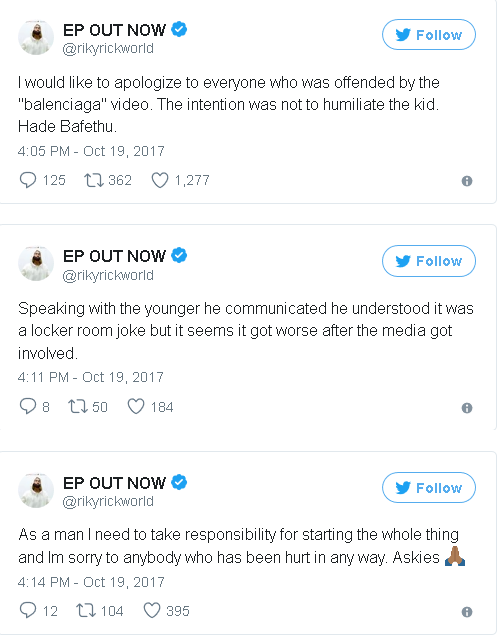 Riky says the teen understood that it was ‘locker room talk’ and it only got ugly because the media got involved. Ive hung out with the boy since, he’s come to my house. He’s a lekker kid. He’s throwing an event in december which I will attend.